2018 was an award-winning year for our CRYENGINE-powered shooter which is in Steam Early Access right now. Get insight on the dev process direct from the team in our latest feature. 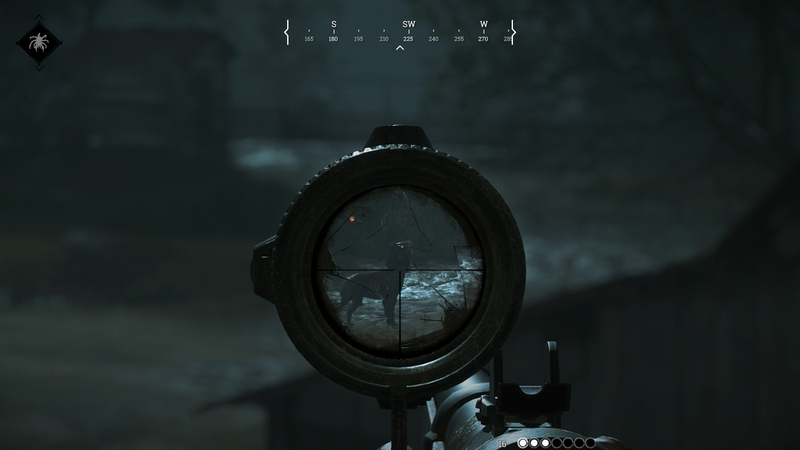 As an Early Access title, Hunt: Showdown is always evolving. Naturally, the game is a great showcase for what devs can achieve with CRYENGINE. Our CRYENGINE team works with the game team to create new features that will be rolled out into the engine for CryENGINEERS everywhere. As 2018 drew to a close, everyone at Crytek was delighted to see the game pick up a number of awards, including two German Developer Awards and Game Debate’s Best Early Access Game. Today we’re taking a quick look back at some recent developments on the game which you may have missed, featuring insight direct from the team. If you’re interested in level design and audio in particular, you might find some food for thought on your own projects too. 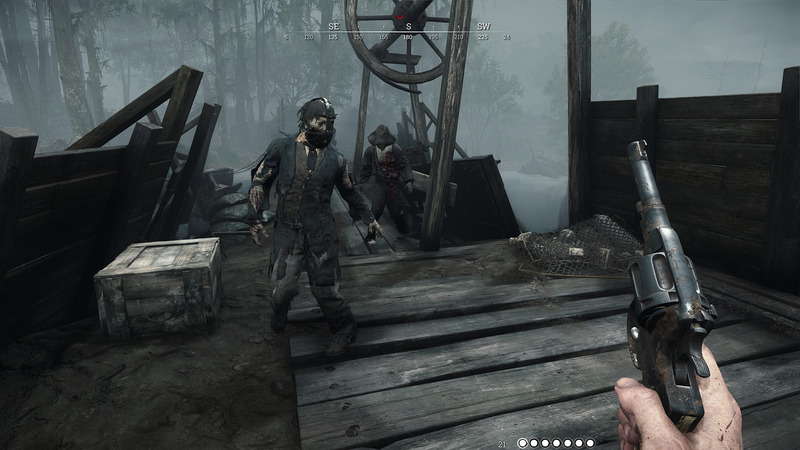 “Our first priority was to look at the first Louisiana map—Stillwater Bayou—and look at what worked and what didn't," explained Lead Artist Marcel Schaika about the conception of the new map. “Where did players have the most fun? Where did players feel frustrated or lost? How can we improve the overall Hunt experience through environmental design? We asked ourselves a lot of questions, and did a lot of analysis. 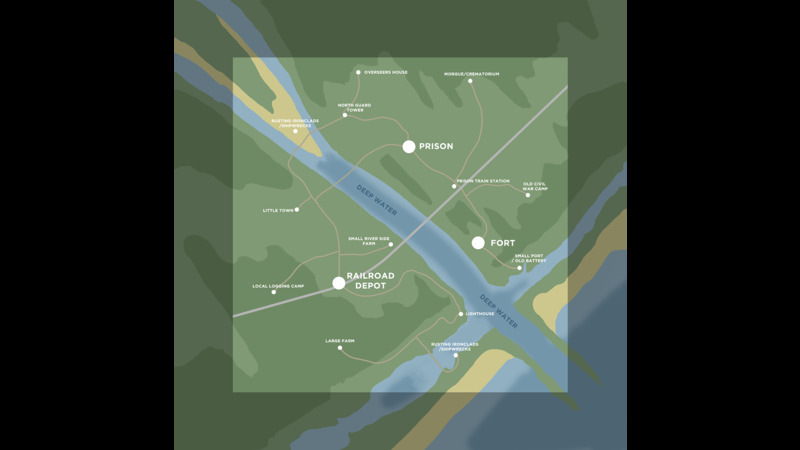 Community feedback on the first map played a huge role in that process." “We knew we wanted to use some of the Stillwater Bayou assets," explained Lead Environment Artist Stefan Heinrich. “So we put a lot of thought into how to re-purpose those assets and combine them with new ones in a fresh, new way. And as Marcel mentioned, we had long discussions where we dissected the old map, looked at the good and bad, and refined our designs accordingly." 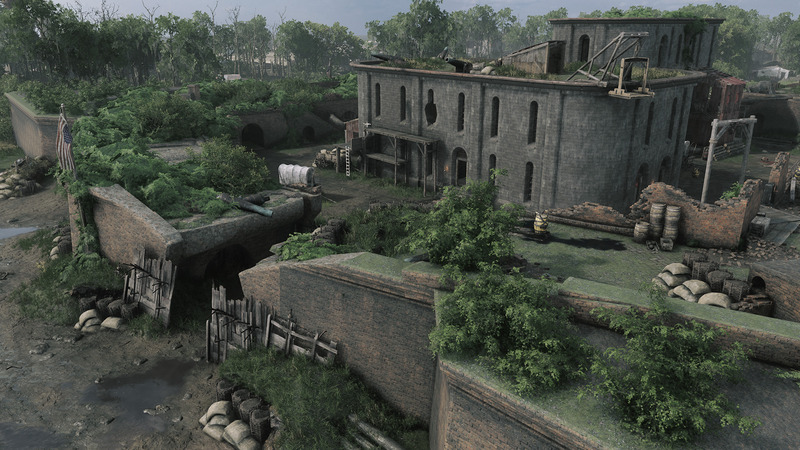 Their analysis revealed that the industrial locations worked best on the Stillwater Bayou map, and so the team focused on the larger buildings and compounds which make for the most exciting boss fights and shoot outs. 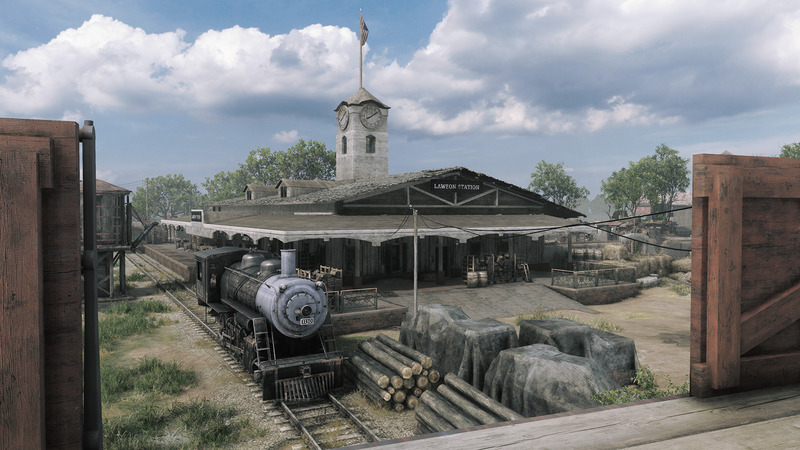 “A compound that is often named as a favorite on the Stillwater Bayou map for gameplay is Reynard Mill & Lumber," continued Heinrich. “It is clear and readable, with clear lines and clear pathways, and it isn't too messy or visually noisy. You can see your enemies and anticipate where they are going. That design became a bit of a blueprint when we were creating locations for Lawson Delta." 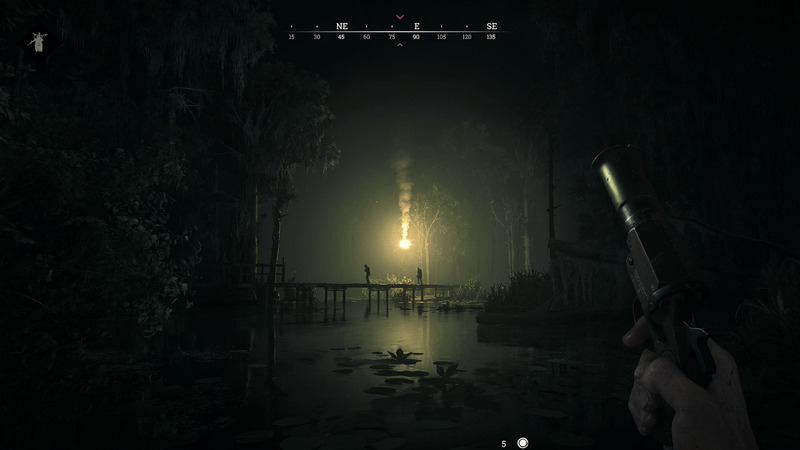 Throughout its development, Hunt has grown and changed substantially, and the Stillwater Bayou map is rooted in that early—and very different—version of the game. As Hunt has continued to evolve, the map has evolved alongside it, which has had some interesting consequences. “The old map was basically our testing grounds," said Schaika. “The entire game has been developed on that map. When we changed the game, we moved things around all the time. Suddenly there would be a hill where there wasn't one before and the next week it was gone. You can see that there are layers of history on that first map." Image: One of the many layout variations the team tested when designing the Lawson Delta map. “For the new map, we decided to define the natural features first. Where is the river? Where is the delta? Where is the dense forest? Where are the open fields? Then we had compounds grow up naturally around those features, the way they do in real life. So hopefully when you play the new map you will notice that everything feels more believable." 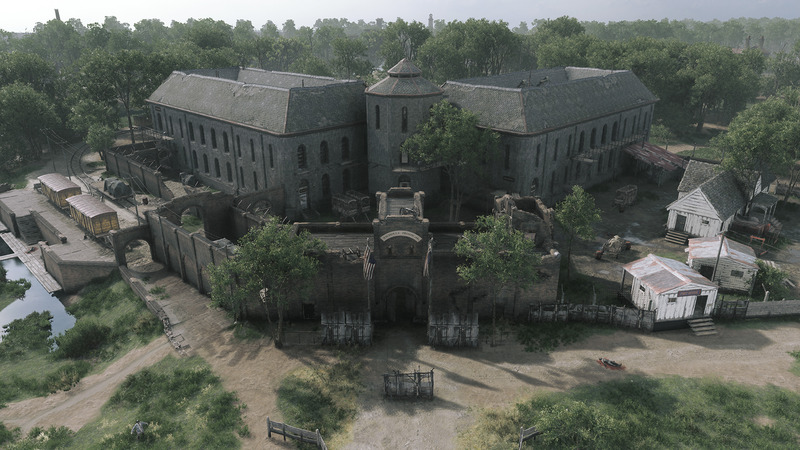 Heinrich added: “For Lawson Delta, we wanted more environmental realism. Lead 3D Artist Tom Deerberg put a lot of work into that, as did Concept Artists Ivan Tantsiura and Ivo Nies, who did many topographical layouts—that is to say, top-down map layouts—where they thought about geography, how the river flows, where people would have built settlements, and that sort of thing. There was a lot more intentionality with the design of this one, and the Concept Art team were deeply involved from the beginning." With Lawson Delta, the team were also more focused on creating unique and recognizable silhouettes that could provide players with visual landmarks to help them navigate such a large area. “To take a specific example of the kind of tasks we tackle, let's look at one of the big audio fixes we had in Update 3.0. Thanks to community feedback about the audio mix, we decided we needed to prioritize unifying how audio behaves over a distance—i.e. to ensure that louder sounds carry farther than quieter sounds—which is called attenuation. So for example, if you have a dog and a grunt, they should both get quieter as you move away from them in the same fashion. “While we were working on unifying the attenuation, a couple of bugs snuck in. One of those bugs had upped the reverb for all interiors. Suddenly, when approaching a compound, it felt like an audio zoo — noises coming from everywhere making it hard to identify the different sources. We had to fix that. But the change to resolve this was not trivial. It ended up being a major rework that touched on all parts of audio, which then needs more testing so our rework didn't cause new problems on the way. “Another example is the new song “Devil in the Churchyard," which we just finished recently. We had it playing in the menu the first time you start your client to present the new map and set the mood. We felt it worked really well, but after it hit the test server we received interesting feedback we hadn't thought would be an issue: while people generally liked the song, many found it distracting to have voices singing while you are trying to talk to your teammate. Since we don't want to stay in the way of people making their battle plan, we reworked the setup to only use the instrumental version during matchmaking. Stay tuned for more dev insight on Hunt: Showdown. Don’t forget to buy Hunt: Showdown from Steam and help shape the game with your feedback. Got any specific questions about the game dev process? Let us know on the forum, in the comments, or via Facebook, and Twitter. You can also join in the discussion with the community and CRYENGINE staffers over on our official Discord channel. I see very cool Scopes shader. Crytek got rid of the old shader, but did not replace it with anything. Actually as with any other unique shader.